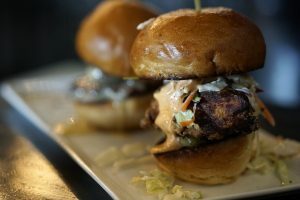 Your Table is Ready, our series featuring restaurants across the valley, continues this month with a look at a North Valley eatery, PNPK. This month, we are examining their amazing brunch menu, filled with a variety of delicious options including deviled eggs, sliders, bruschetta, salad and Rise & Shine cocktail options. 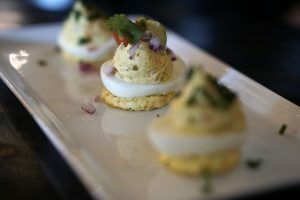 During our visit, my husband and I tried out several of the deviled egg options and slider options, all at a great price. For the eggs, you get 3 eggs of your choice for $5.. such a good deal. We tasted almost every deviled egg on the menu, and there wasn’t a disappointment among them. Our favorites were probably the White Truffle Olive Oil or the Smokes Salmon, Capers and Red Onion. However, there wasn’t one that we didn’t devour and enjoy. Turning to the sliders, again, there was an amazing array of options, all at a terrific price. For your order, you get 2 sliders for $10 and they are a good size slider and very filling. We tasted the Maple Santa Fe, Crispy Hot Fried Chicken, Prosciutto & Brie and Maple Candied Bacon. Picking our favorite among these wasn’t easy, because we enjoyed them all- but speaking with Owner, Kelly Pruitt says hands down the Crispy Hot Fried Chicken is their best seller. Of course I had to check out one of those Rise & Shine cocktails that continued to catch my eye. After looking at all the wonderful options, I settled on the Prickly Pear Mimosa, which certainly didn’t disappoint. The brunch menu isn’t huge but there are big flavors among all the options. The weekend brunch is served to 2pm Saturday and Sunday and should definitely be on your list of spots to check out. If you are unable to make it to a weekend brunch, do not fear, the sliders and eggs are a part of their regular daily menu. The menu is a bit expanded for regular dining and they have a wonderful kids menu, great for any younger one’s in tow. Also, if you are looking for a great deal, check out PNPK’s Happy Hour, which is everyday, yes- EVERYDAY (including weekends) from 11-6. Not many places here in town offer a great weekend happy hour, so be sure to check it out. After our experience at PNPK, we were sufficiently full and satisfied.. so definitely worth the drive to North Scottsdale. With more than 15 years valuable experience in both media and public relations, Gretchen Pahia is a wife and mother of two. Over the years, Gretchen has used her media and public relations skills at a variety of firms in the valley and is now principal and owner of Media by Connection and editor of North Phoenix Family Magazine. Gretchen is a firm believer that building lasting relationships with her clients is a strong background for achieving solid and visible results. She uses those same techniques at home with her family and boys. Keeping busy is her game, running around with two very active kids, who are growing bigger every day. 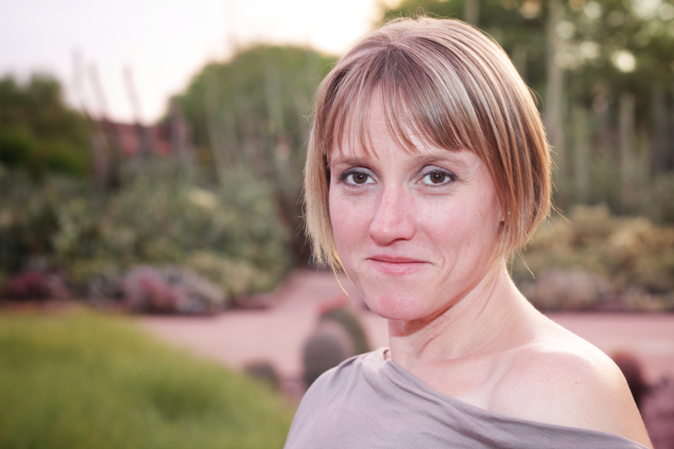 Gretchen is a native to Arizona, born and raised here and a graduate of Northern Arizona University. She keeps active herself while enjoying exercise, playing sports, watching movies with her husband!